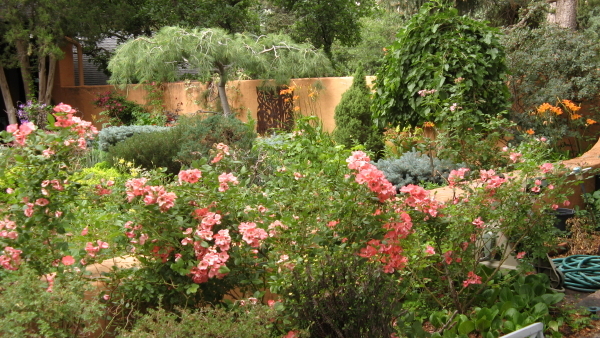 As the sun approaches her zenith, garden colors soar. 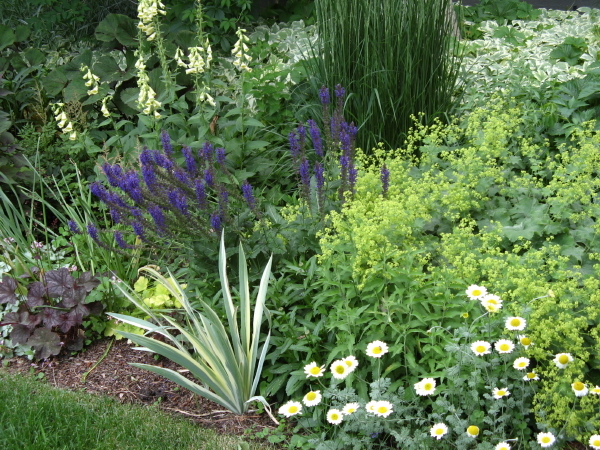 From iris and roses in June through sunflowers and lavender in August, there is a constantly changing and radiant display. 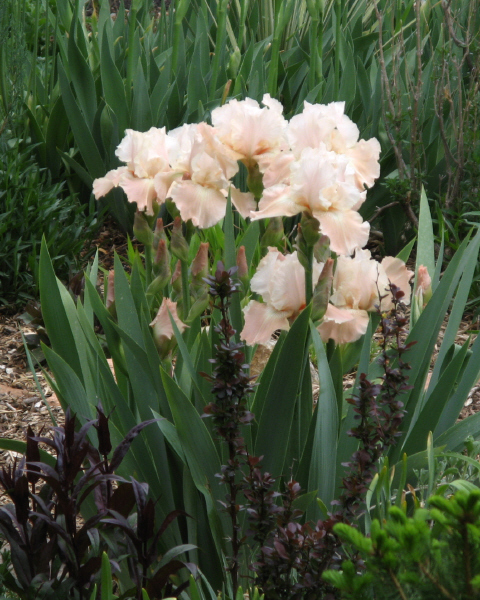 Dwarf bearded iris are among the first to bloom. 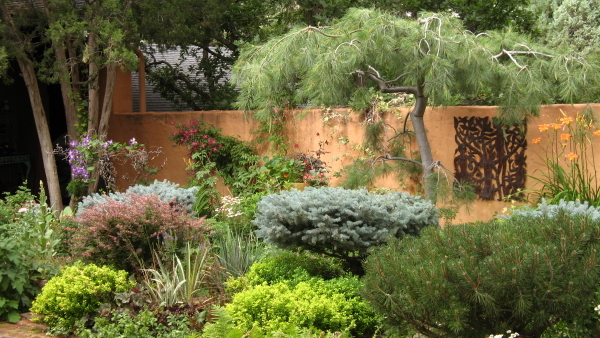 Great for rock gardens. 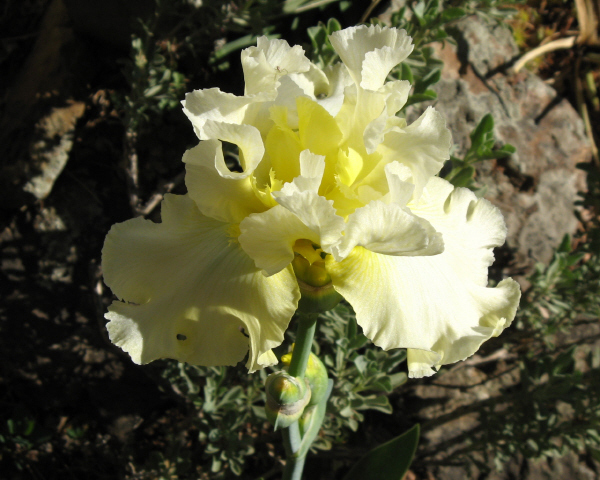 An iris to glow in the dark. 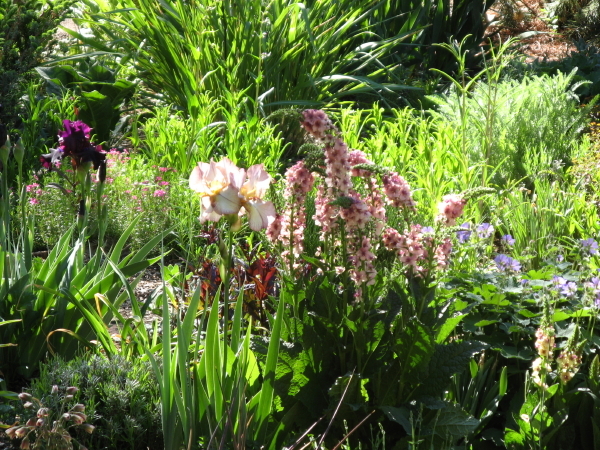 Tall bearded iris team beautifully with early summer verbascum. 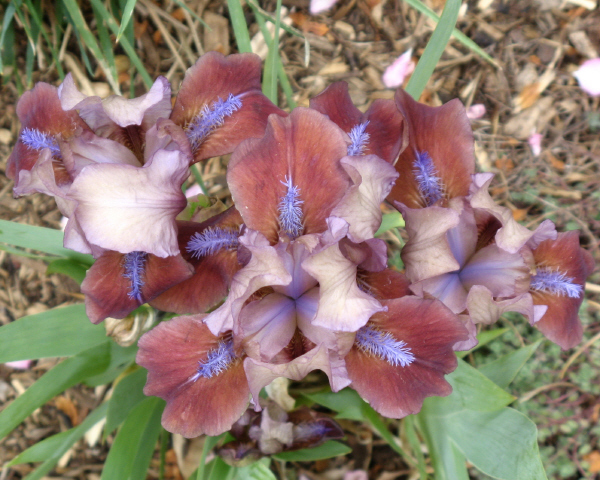 I'm almost always too busy to fully appreciate iris season. So I'm glad I have my camera for later. 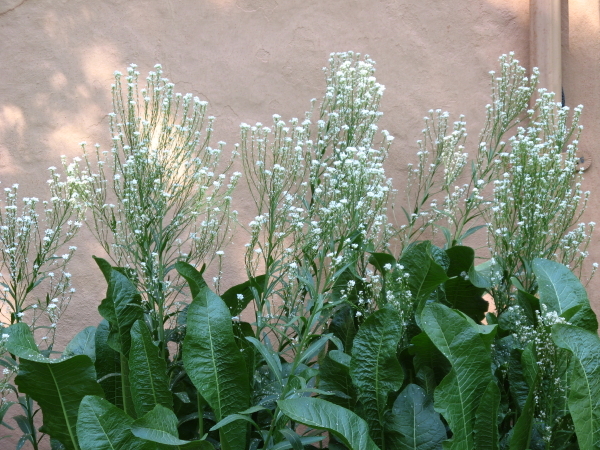 This is "Pagan Goddess", a prolific bloomer and spreader. 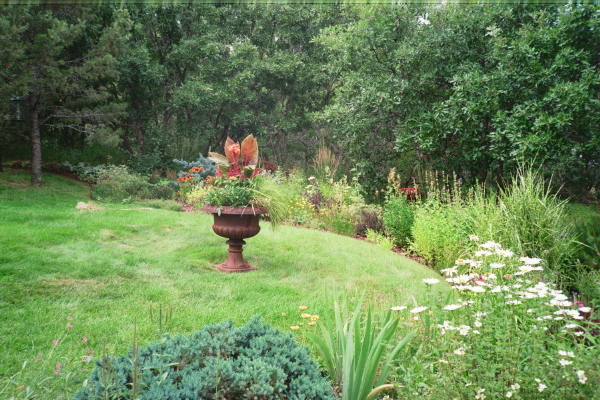 Here she plays off a young Helmond's pillar barberry and the bloom stalks of Husker Red penstemon. 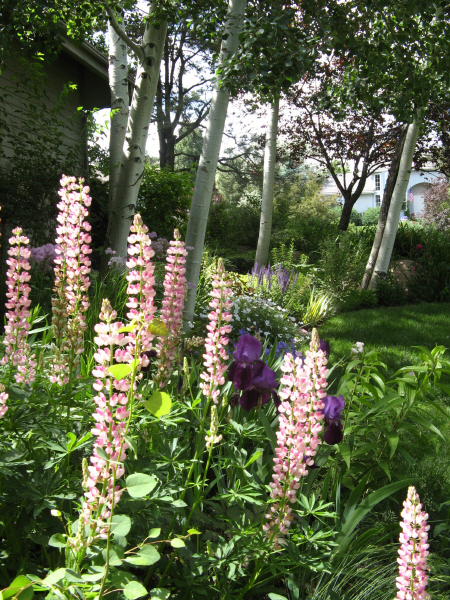 Rosey-colored lupines with dark blue iris in eastern light. 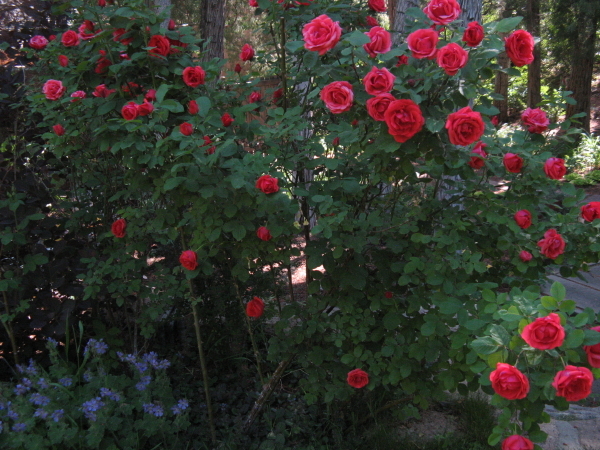 Morden rose "Fireglow", a tall, hardy shrub. 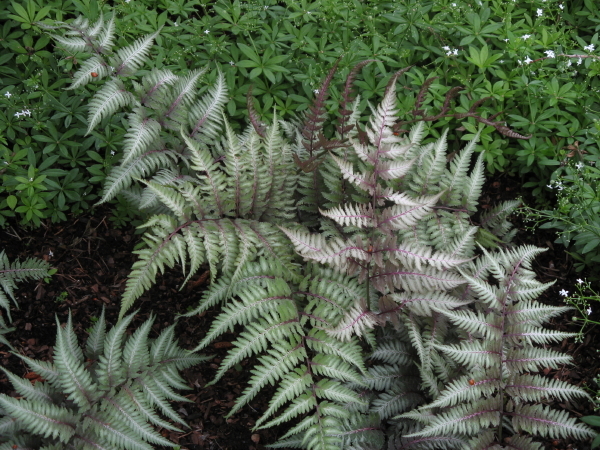 Here teamed with a purple smokebush. 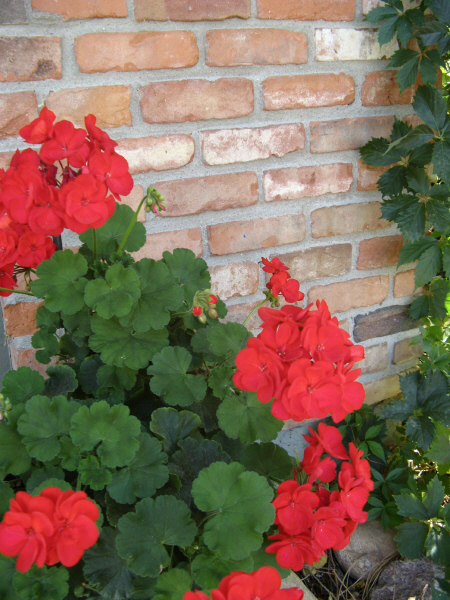 Here's another view with Geranium "Philippe Vapelle" blooming at her feet. 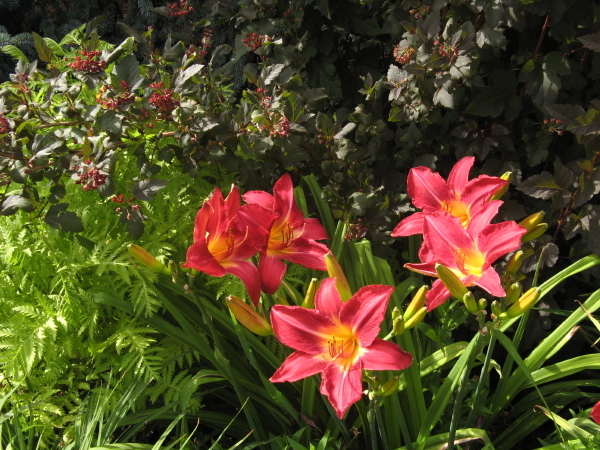 Meidiland coral rose blooming with daylilies. She has a very long bloom season. 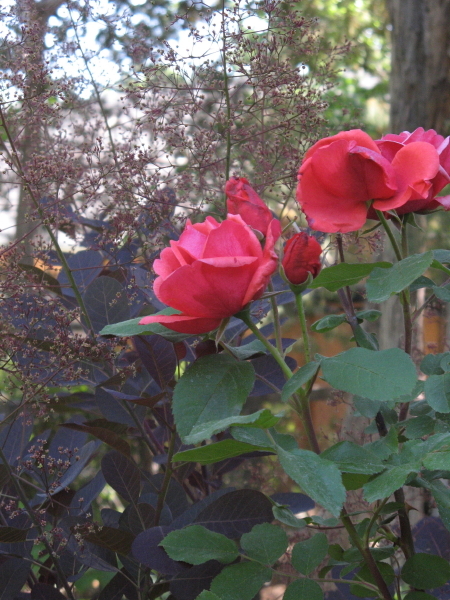 Takes a break during the heat and comes on strong again in September through hard freeze. 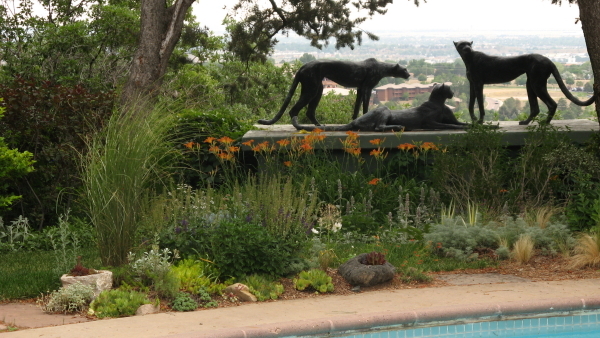 Hardy, old-fashioned daylilies peering up at bronze cheetahs. 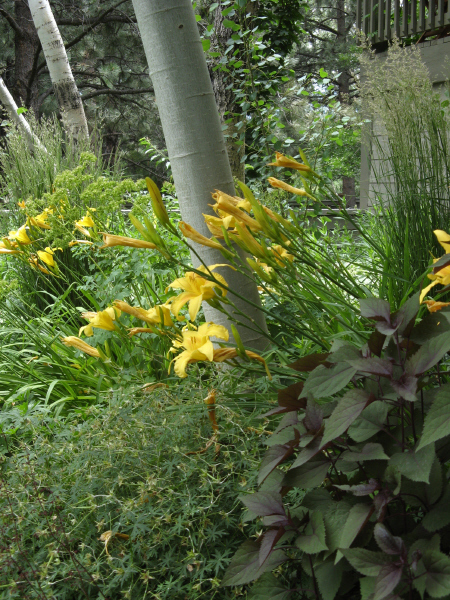 Lemon-scented daylilies naturalized under aspen. 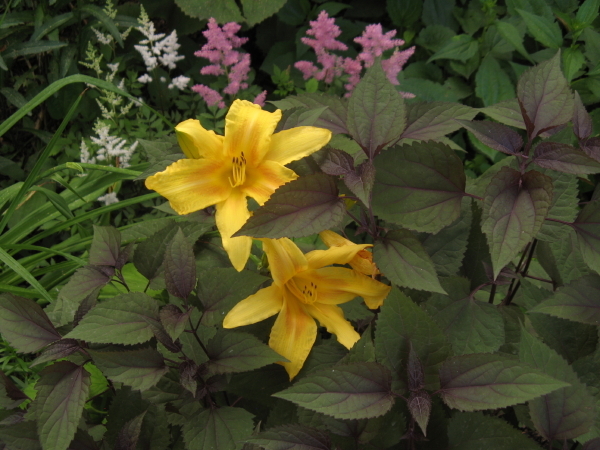 Daylily, chocolate Eupatorium, and astilbe. 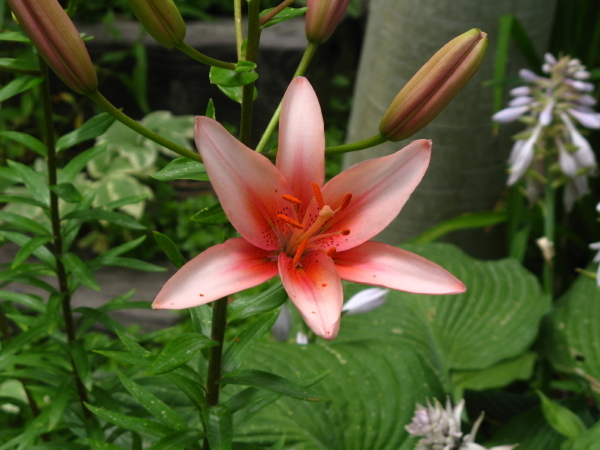 Stargazer lily flowering with hosta. 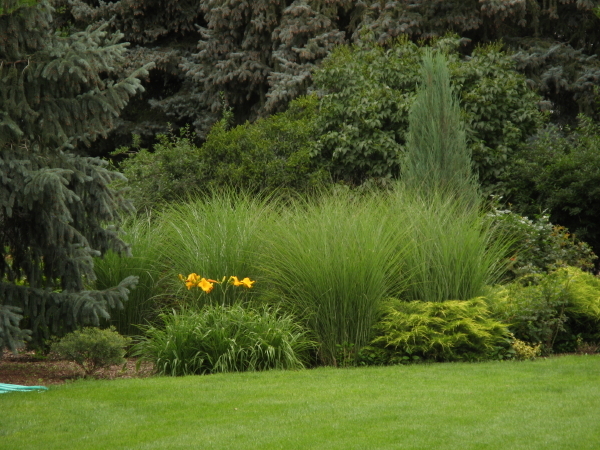 Hot rose daylily backed by flowering "Diablo" nine-bark. 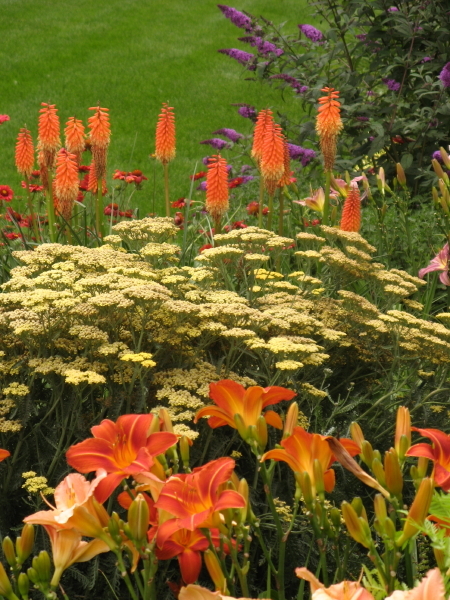 Daylilies, terra cotta yarrow, red hot poker, and butterfly bush. 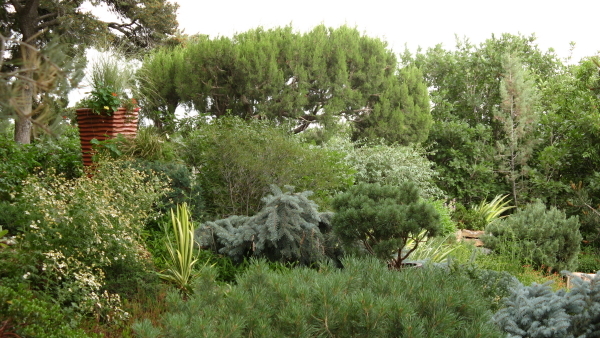 This garden stops traffic. 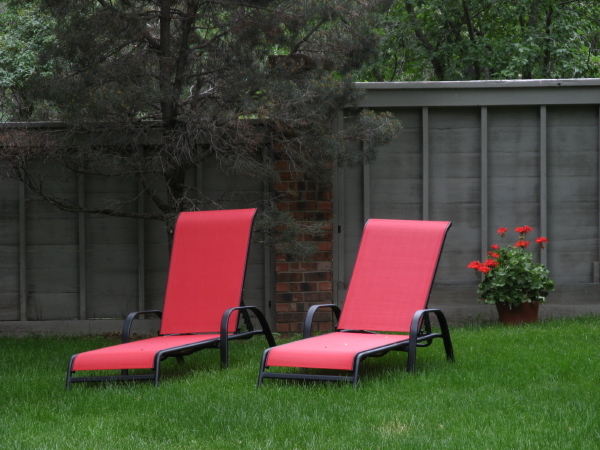 When Summer starts heating up, it's nice to have a pool, but even nicer to have pots. An Anasazi-inspired fiberglass "jar", lifts the top of a sloping bed. 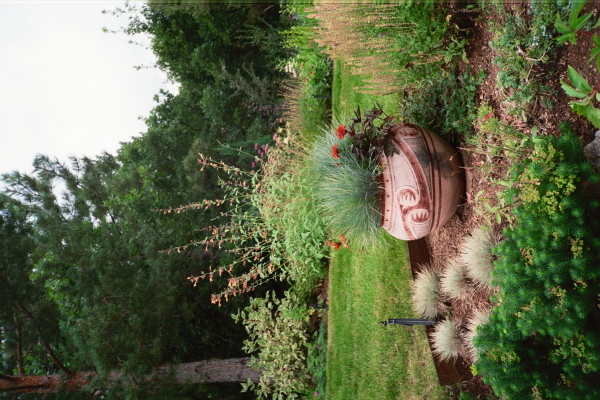 The weight and height of this iron urn, anchors an open elipse of lawn, like a conductor before an orchestra. 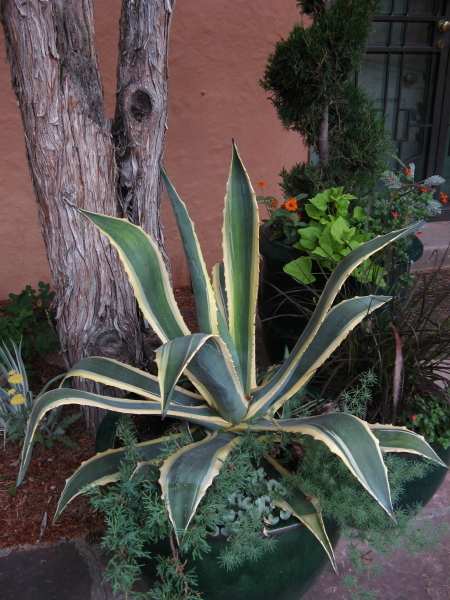 An agave lends drama and flare, and then is overwintered indoors. 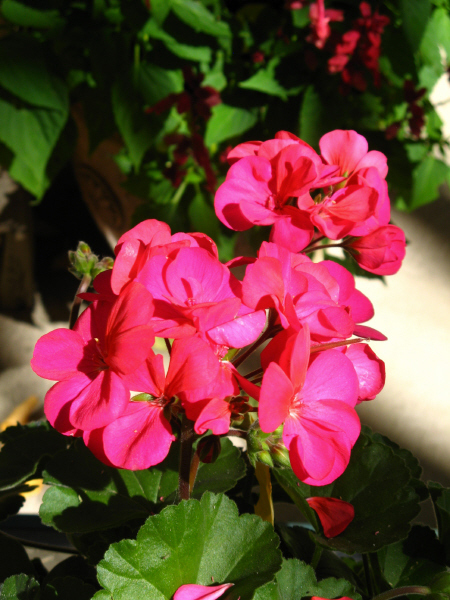 There's a reason we love zonal geraniums. 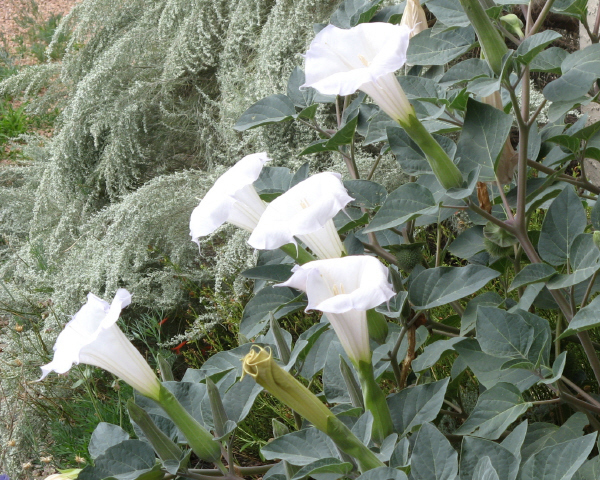 Sacred Datura and artemisia filifolia thread-leafed sage, two native southwesterners thriving in the heat. 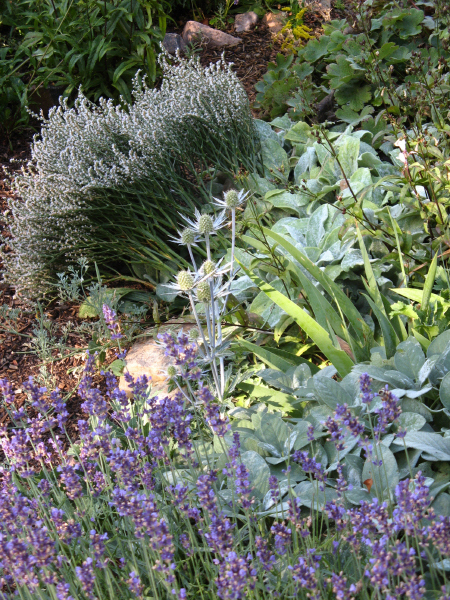 Lavender, sea holly, and perennial statice also like it hot. 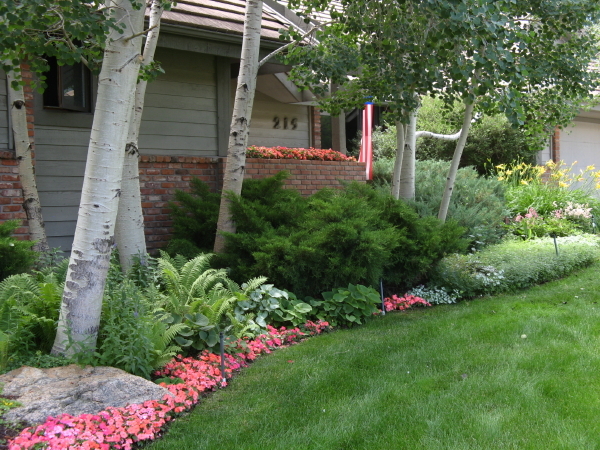 Impatiens brighten this otherwise calm front border. They like warm feet. 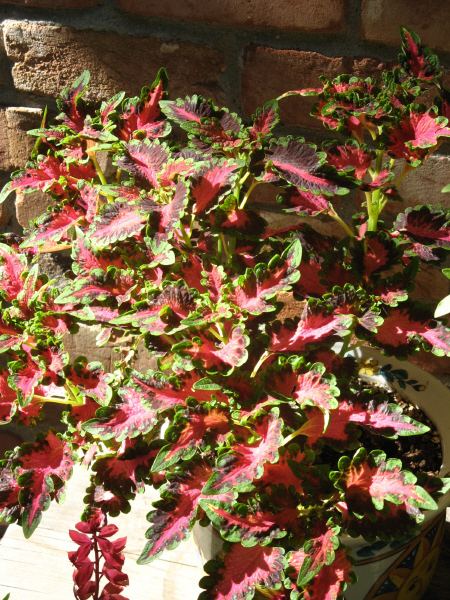 Sun coleus won't blink an eye until temperatures start to fall. 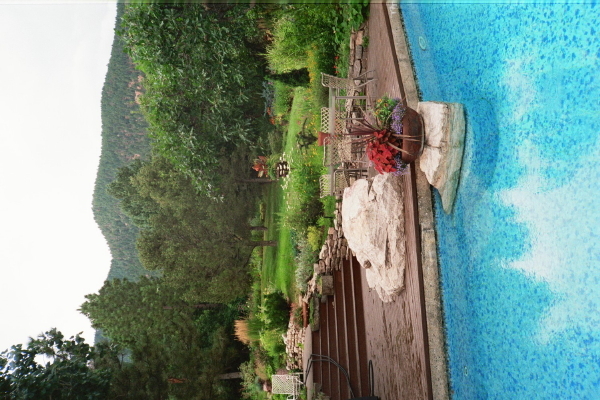 Sometimes you need a break from the heat. 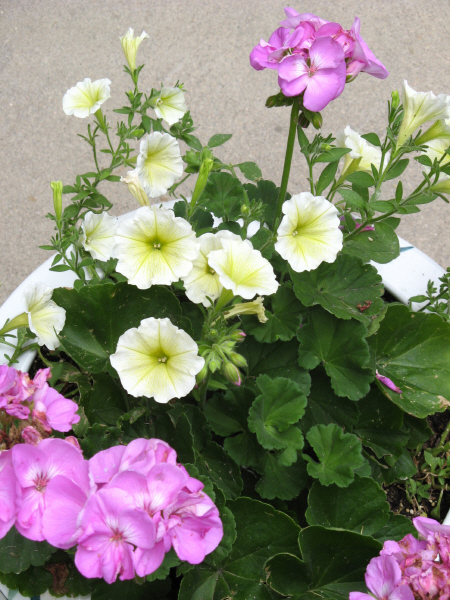 Then, we're glad summer has a softer side. 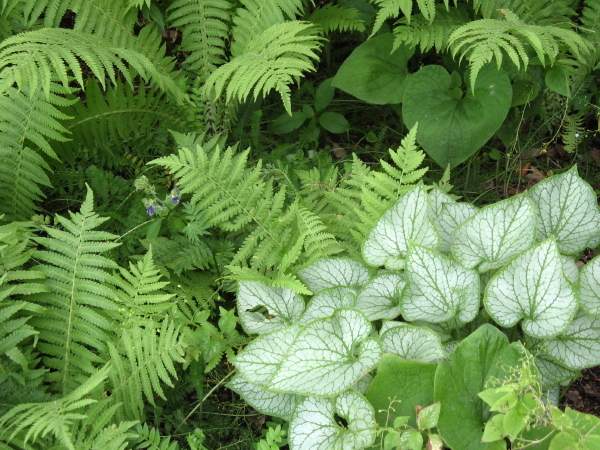 Many forms and textures of calming green. 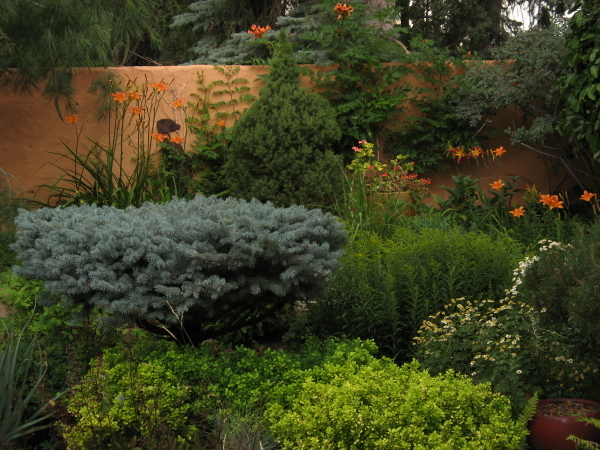 Strong forms and multiple shades and textures, a perfect foreground for trumpet vine and daylilies. A tapestry of forms and clematis. 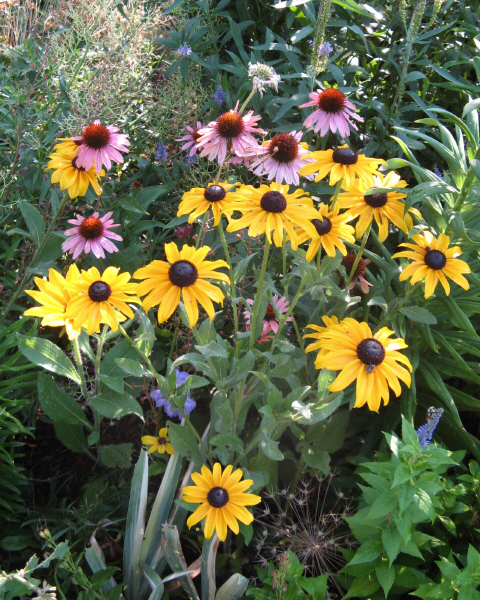 Echinacea and Rudbeckia herald the coming of autumn. 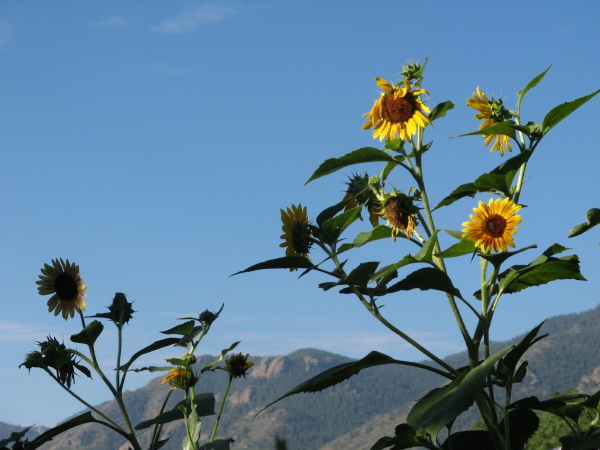 A sunflower holds up the sky. 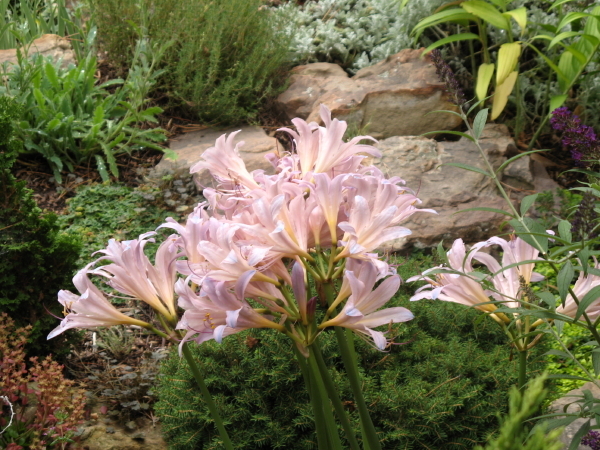 My Aunt Dorothy's Resurrection Lilies bloom at last.